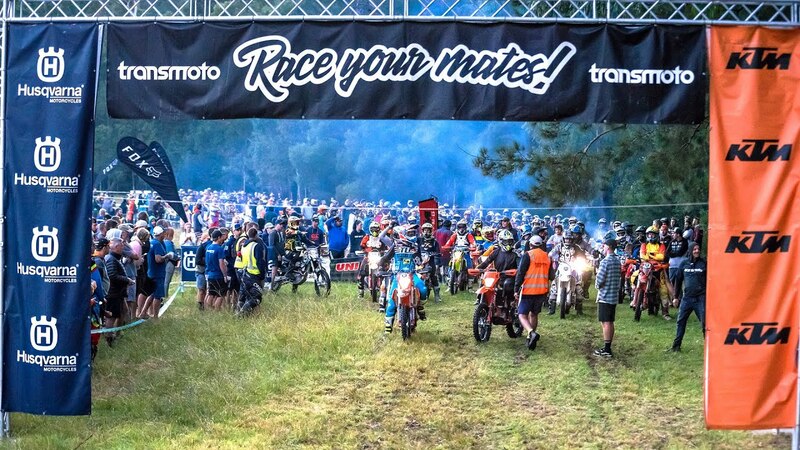 Back in 2011, 250 riders took part in the inaugural Transmoto 12-Hour – staged on a private property in the Buckenbowra State Forest, about 20 minutes’ drive inland from Batemans Bay. Now, seven years on, this picturesque slice of NSW South Coast turf is widely regarded as the spiritual homeland for Transmoto’s events; our flagship event that kicks off the Transmoto Enduro Event calendar each year. With a 12-16km loop that includes flowing singletrail, undulating grasstrack, tricky creek crossings and a few hills, the course is designed to offer something for everyone, without being overly technical. And with its huge grassy pit paddock just a short walk from a cleansing swim in the pristine Buckenbowra River, the event’s camping experience is as good as it gets. Race it or ride it; run a motocross weapon or trail sled; fly in and fly out or make a weekend’s surf-and-moto roadtrip out of it with your mates … take your pick. But be sure to be part of what has firmly established as a must-do annual moto pilgrimage for racers and riders alike. Rider etiquette has always been a big part of Transmoto’s events. We encourage good sportsmanship, care and courtesy towards other riders because we want everyone to have a good, positive experience – whether that’s on the track, in the camping area, or on the access roads leading to and from the event venue. Take a look at past 12-Hour events right here. The 2019 12-Hour @ Batemans Bay is complete. Bring on 2020!